· PDA Dalglish (83/84 Boys) Head Coach - 2000-2001. · Region I - Staff Coach - 1997-2000. 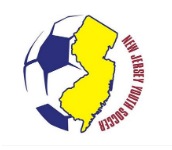 · NJ ODP State Team - Head Coach - 1992-1998. 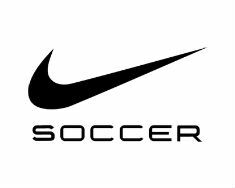 · North Carolina ODP - Player Evaluator - 1989-1990. · NJ Riptide - Assistant Coach - 1999. · NJ Stallions - Player/Assistant Coach - 1995. · Kearney Scots - Head Coach - 1990-1992. · lark Conquistadors - Trainer 1999 State Cup Champions, U13 Boys - 1990-Present. · Montclair State University - Assistant Coach - 1998-Present. · Metro Atlantic Conference Coach of the Year - 1994. · Saint Peter’s College - Head Coach - 1993-1997. · ACC Champions, NCAA Runners-up - 1988. · North Carolina State University - Women’s Assistant Coach - 1987-1989. · Kearney High School - Varsity Assistant Coach - 1985-1986. · Jersey City State College - Assistant Coach - 1984. · Philadelphia Over 30’s State Champions, Region I Champions, U.S. Final Four - 1996. · NJ Stallions - Super League - 1995. · NY Atlas - Hellenic League - 1986. · F.C. Kriti - Hellenic League - 1996. · Carolina Lightnin’ - United Soccer League - 1983-1984. · St. Louis Steamers - Major Indoor Soccer League - 1983. · Carolina Lightnin’ - American Soccer League - 1982-1983. · North Carolina State University - 1979-1982. · Mercer County Community College - 1978-1979. · Thistle F.C. Kearny NJ - 1974-1978. · Kearny H.S. - Group IV State Champions 1975 - 1974-1978. · Glasgow Schoolboys XI 1972 - 1967-1973.